Chloe (name changed) was confined to a small space, with no walks, was poorly fed, tick infested, kept in the heat and permanently ignored. Chloe has multiple bone deformities and severe hip dysplasia due to poor nutrition, no exercise, constant chaining and confinement. 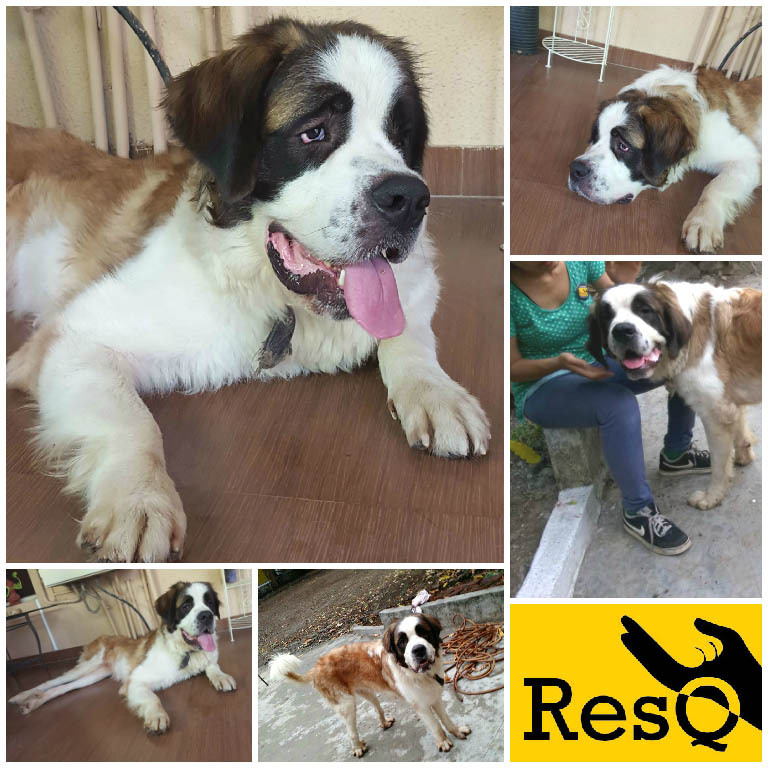 Chloe is a lovely 1.5 year old St. Bernard girl. She loves a hug and becomes ecstatic at the sight of a leash. So, why was such horrible treatment meted out to Chloe by her owner? 1) She was bought for breeding and churning out puppies, not as a pet, because “St.Bernards” are the new found obsession of Indian pet owners who spend thousands of rupees to bring the wrong pet home. 2) It was soon discovered she was “no good for breeding”. She was made to have a litter as soon as she got her first heat and the puppies were deformed and didn’t survive. St. Bernards are really cute, yes, we all love Beethoven. But St. Bernards were bred to withstand bitter cold temperatures, dig through deep snow and locate travelers trapped in snow storms. You may pacifiy yourself by letting them sleep in an air-conditioned room, but how about you try wearing a thick fur coat and going out for a walk in the heat? You are responsible for the rampant breeding in India today; because YOU demand, there is a supply for YOU. Chloe was removed from her misery a few days ago by a ResQ member. She is young and has hope. She is currently with a foster. Being completely forthright, Chloe is going to be a project if adopted. She is going to need love, medical attention, space and care. There are hundreds more like Chloe, who have probably even adapted to this life…YOU CAN STOP the breeding of dogs like St. Bernards and Huskies, just by respecting the fact that they do not belong in India and by opting to adopt or get a more suitable breed. Help Chloe: Adopt her if you can. Help several Chloe’s : Do not buy Bernards.